Jury selection is scheduled to begin Monday in a case between technology giants Apple and Qualcomm, with Apple seeking billions over what it claims are exorbitant and unfair fees Qualcomm allegedly charged for the use of Qualcomm chips in iPhones. Apple is accusing Qualcomm of charging excessive royalties for Qualcomm’s hardware featured in older iPhone models. The iPhone maker says that despite Qualcomm supplying only some components used in iPhones, the San Diego- based mobile chip company has sought money based on the total cost of each phone. Apple alleges it’s paid Qualcomm $7.50 per iPhone sold, when the true fee should be around $1.50 per iPhone. Apple also says that Qualcomm has withheld around $1 billion in rebates it was supposed to pay Apple as reimbursement for the patent royalties, which U.S. District Judge Gonzalo Curiel recently ruled Qualcomm was obligated to pay. Curiel is also overseeing this week’s trial, and his decision regarding the rebates will not be made final until the trial concludes. Qualcomm has also faced antitrust accusations from countries around the globe, with the company fined by China, South Korea, and the European Union over complaints that it’s operating as a monopoly. 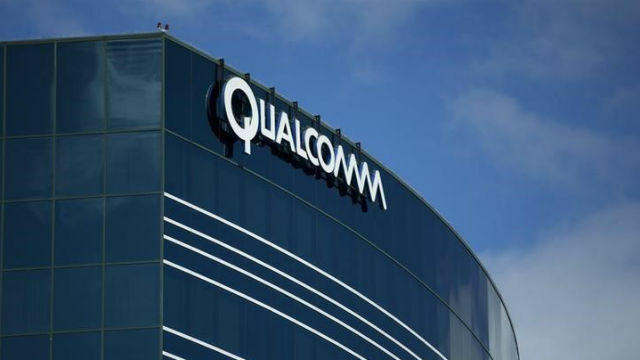 Last month, Qualcomm won a local legal battle against Apple, when a federal jury in San Diego awarded Qualcomm $31 million in damages for Apple’s infringement of three Qualcomm patents.